Yes, this is a real picture. 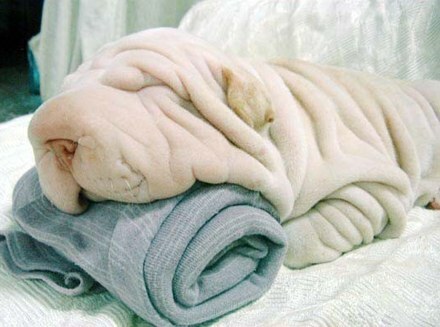 The dog is a Shar Pei puppy. I used to have one of those. He was a great dog. sweet lord its a tog! Great Site. The pictures are wonderful. I'm game for the link exchange.